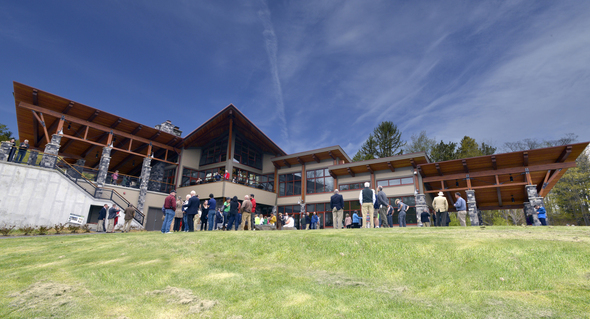 A new 8,240-square-foot facility opened at Thacher State Park in May, providing visitors a central place to discover all the park on Albany County’s Helderberg Escarpment has to offer. 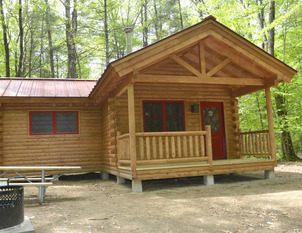 Set next to the trailhead and picnic area for the popular Indian Ladder Trail, the Thacher Park Center will help introduce visitors to park’s many features, including an expansive trail network; opportunities for hiking, biking, camping, and environmental education. The center includes a grand lobby and exhibit area highlighting the park’s fossil-rich geological history; multipurpose space that can be reserved for community events and family gatherings; and an outdoor patio where visitors can take in the park’s dramatic views. Read more. 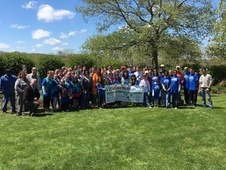 Nearly 8,000 volunteers showed their love on May 6 for the sixth annual I Love My Park Day, a partnership between New York State Parks and Parks & Trails New York. It was the largest I Love My Park Day ever, with over 125 state parks, historic sites and public lands participating. Volunteers took part in more than 250 projects, including raking, weeding, cleaning up litter, building picnic tables, removing invasive species, marking trails and planting trees and flowers. For the second year, key partnerships included the New York State Department of Environmental Conservation, the National Park Service, Excelsior Conservation Corps and the New York Commission on Volunteer and Community Service. The sixth annual I Love My Park Day may have been our biggest yet but most impressive continues to be the spirit of community and service seen in our parks and sites on this wonderful day of volunteerism. Please check out the I Love My Park Day Photo Gallery. 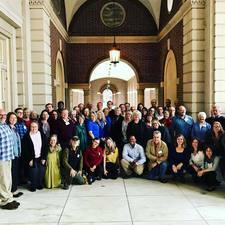 Governor Andrew M. Cuomo recently announced that 20 “Friends Groups” will share $450,000 in state grants to advance their work sustaining and promoting New York State parks and historic sites. The innovative grant program will help leverage over $200,000 in private fundraising as well as the volunteer services Friends Groups already provide. 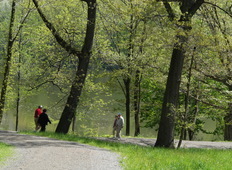 The Park and Trail Partnership Program grants are administered by State Parks and Parks & Trails New York, a statewide non-profit group. Read more. 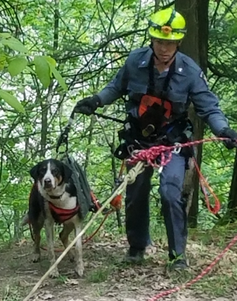 Using classic rope rescue skills and an Unmanned Aircraft System, highly trained New York State Park Police rescued a dog trapped about half-way down the 400-foot Letchworth State Park gorge recently. Following reports about a dog barking and possibly stuck in the gorge, Park Police Sgt. Ryan Clancy was lowered about 200 feet to save the missing pet. The rescue took place in an area where the gorge is extremely steep and wooded for approximately 200 feet before it transitions to a sheer vertical shale wall several hundred feet to the bottom. Lowering a rescuer down and performing a “pick off” was the only option. The dog was also not visible; police could only hear his barks. So Park Police used the UAS – also known as a drone – in attempt to pinpoint the dog’s location. Ultimately, the forest canopy was too dense to find the dog, so Sgt. Clancy was lowered down and successfully hauled back up with ‘Skippy’ in tow. Skippy, a 6-year-old mixed breed who had gone missing in the park two days earlier, was returned home with only minor cuts and scratches. The rescue is example of the intense training that State Park Police undergo to help keep park visitors – and their pets – safe. On Earth Day, Governor Cuomo announced the preservation of more than 5,900 acres of parkland in the Hudson Highlands, expanding access to outdoor recreation and forever protecting diminishing open space. The parkland includes a 3,777-acre conservation easement for Black Rock Forest in Orange County, donated by the Open Space Institute. 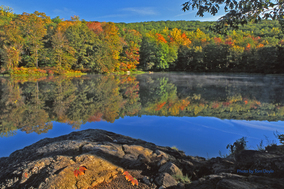 In addition, significant parcels abutting Bear Mountain, Clarence Fahnestock, Goosepond Mountain, Harriman, Rockland Lake, and Schunnemunk Mountain State Parks will preserve diminishing open space, expand recreational opportunities, and help connect long distance hiking trails. Read More. How long have you been with the agency? March 2017 marked 11 years with State Parks, 15 with New York State in total. What does someone in your position do? I do a range of things, primarily: creating content for signs, cell phone tours, educational programs in conjunction with sites, special projects and tour development. What’s the coolest thing you’ve ever seen or done? 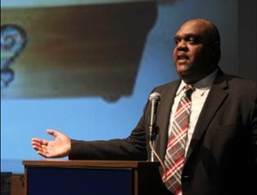 Assisting with the reburial of enslaved people once connected to the Schuyler family and helping to organize the memorial held at Schuyler Mansion State Historic Site. The entire project demonstrated the power of history to bring people together for a single cause. It was the heart of what we do as interpreters of history. Is there a particular destination in the system you’d recommend to someone? There are many! Rock Island State Park is an incredibly beautiful place with amazing stories. Crailo State Historic Site is one of our most unique sites, that focus on the story of the Dutch colony, and Staatsburg is doing amazing work with the stories of the Gilded Age. I also always seem to wind up back at Thacher State Park. What inspired you to work in the preservation field? I believe that our understanding of history shapes our sense of identity and community, making it vitally important. When we connect with the public we are returning their history to them and providing a connection to the past that influences their understanding of the present.